Down to the last week in the NFL regular season, and for the Seattle Seahawks the season all comes down to one game that will decide the winner of the NFC West. This is what is important. What’s not quite as important is that this past Sunday was one that Seahawks fans have come to expect over the last nine weeks when playing teams with winning records: another miserable blowout. This time it was a 38-15 beat down by the Tampa Bay Buccaneers. The Bucs were a team that needed this win to stay in the NFC playoff picture, whereas the Hawks merely needed to survive this game to get to their game against the Rams in week 17. Although, they may not have been successful on the aspect of survival either. Thanks to a schedule shift that pushed the game’s starting time back after the 49ers and Rams, Seattle had a clear picture of what they needed to do to make the playoffs and it didn’t involve winning this road game. Yet despite many lingering injuries, all of the team’s starters were on the field and as expected Matt Hasselbeck made the start for the Hawks after being benched late in last week’s game. Although Seattle went three-and-out on their first drive, the second drive of the game looked great. Thanks to a 29-yard run by Marshawn Lynch and three Hasselbeck completions for another 24 yards, Seattle marched down to the goal line in about five minutes. After Lynch was held up at the line on the first two downs, Hasselbeck bootlegged out to the right and went untouched into the end zone for the touchdown. Despite the lack on contact, Hasselbeck tweaked his hip on the way in and sat out the rest of the game. One had to wonder if some sort of mild injury was a respectful way to get a veteran out of meaningless game, but Coach Pete Carroll’s post-game comments made it clear that it was far from a mild injury. Carroll ruled him out to practice this week and says the team is moving forward with Charlie Whitehurst as the starting quarterback. With a 11-of-18 performance for a mere 66 yards, he clearly didn’t win over any of his detractors this week and maybe even made the case for people to start asking if J.P. Losman gives Seattle the best chance to win. Whitehurst did lead the Seahawks on their only other scoring drive capped by a 16-yard run by Leon Washington, but it was after the game was well out of hand at 31-7 at the end of the third quarter. The loss gives Seattle their opportunity to make history as the first team with a losing season to make the playoffs, and they’re going to get that opportunity in prime time for the first time in two seasons. 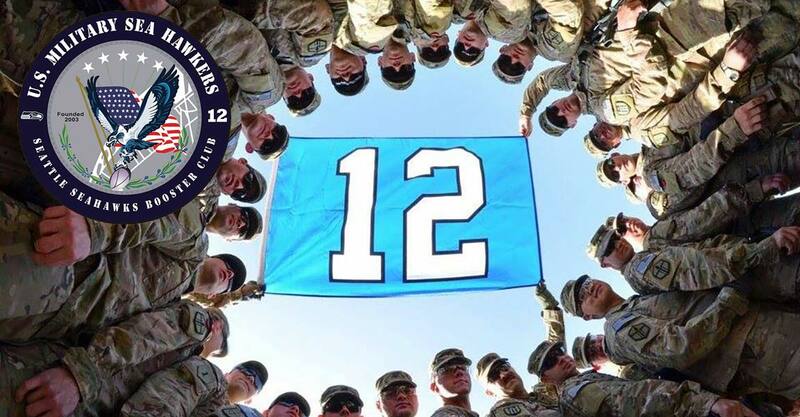 Their game against the Rams has been flexed to the Sunday night game, which I know is great news for our Sea Hawkers serving in Afghanistan right now. Rather than having to try and get a quick nap in before and after the game, they’ll be able to wake up at about 4:30 and catch the game before breakfast. Even though Carroll is saying that team is preparing as if Whitehurst is the starter, I would expect Hasselbeck isn’t going to sit out a game as big as the one this weekend. Hasselbeck will do everything he can to get ready for this game, but the question is whether Seahawks fans will be ready. Instead of fans being excited about the opportunity to host a playoff game, I would characterize the sentiment surrounding the team as mostly negative and even cynical. I am a little surprised about the response to some of the online polls that expect the Rams to run away with this game and that more than half of the fans polled in a Seattle Times survey think the team would be better off not making the post season. I understand where the sentiment is coming from though. After the first six games the Hawks were 4-2 and looking like a team that was going to run away with the NFC West after victories over the San Diego Chargers and Chicago Bears. Since then, the only teams they’ve beaten are the Arizona Cardinals and Carolina Panthers. In the seven losses since, the final scores haven’t even been close and by combining the scores from all 15 games, they’re 107 points down. This also marks the first week this season that I’ve seen people threatening not to renew their season tickets. Maybe they’re the same people that threatened to pull their season tickets unless Jim Mora was fired, and perhaps they feel that tactic actually worked. While I wasn’t sold on the Carroll hire at the beginning of the season, I don’t think it would be wise for the Hawks to go shopping for a new head coach quite yet. The sense I got from last year’s team was that they quit on Mora, whereas Carroll still seems to have a team that has bought in to his plan. I would expect the organization will give him a little time to lay it all out and prove he can get the job done. In addition to the sentiment that the team “doesn’t deserve to be the in the playoffs,” there are also those looking ahead at who Seattle would likely face in the first round. The most likely team would be the Saints and it’s still possible that it could be the Falcons. But I wouldn’t expect Atlanta to lose to Carolina this coming weekend. Both of the likely opponents are teams that the Seahawks have already lost to this year and so have the Rams. If the team has you down, why don’t you look up the Houston Texans and their season this year? Unlike the Seahawks, the team had huge preseason expectations which went even higher with a victory over the Indianapolis Colts in week one. After six games, they were in the same position as Seattle at 4-2. With one of the top ranked offenses in the league with players like Andre Johnson, a future Hall of Famer, and Matt Schaub, who has more than 4,000 yards passing for the second year in a row, they’ve tanked worse than the Seahawks. Now they’re 5-10 and have a head coach who is likely going to be joining former 49ers Coach Mike Singletary in the unemployment line. They haven’t had the blowouts that Seattle fans have endured, but they’ve had their hearts ripped out in dramatic fashion with the Hail Mary pass in the game against Jacksonville and the most recent 17-point comeback by Tim Tebow and the Denver Broncos. My point is the Texans had high expectations and have failed. The expectations for Seattle were low this year and they’ve merely disappointed us after a decent start. I’m not ready to jump the gun and call Coach Carroll a failure. Mike Holmgren took Seattle to the playoffs in his first year, but it wasn’t until years later when they began to steadily make the postseason. Like everyone else, I’m disappointed every week the Hawks lose, but when I have a chance to get past the game and put it into perspective, I don’t feel terrible about where the team is right now. They got off to a great start, things haven’t exactly worked out great since, but what a bonus that we’ll be watching our team play for the postseason in a Sunday night game in week 17. After two miserable years, this still feels like progress. If the Seahawks win on Sunday, not only will I buy an NFC West Champions hat when they go on sale, I hope they embroider 7-9 right on that lid. If they don’t, I’ll take it to a one of those mall kiosks and have it slapped on there myself. Brandan Schulze is a Navy veteran and member of the military chapter of the Sea Hawkers, the official booster club for the Seattle Seahawks. For more information on the chapter, visit www.militaryseahawkers.ning.com. Membership is free for all military service members and veterans.